I had no idea who Daniel Fleetwood was up until very recently. And neither did many of you. Daniel suffered from spindle cell sarcoma, a rare connective tissue cancer, and in July, this year his doctors gave him only two months to live. His dying wish was to see Star Wars The Force Awakens as he felt he wasn't going to make it to the December release date. With the likes of John Boyega and Mark Hamill adding weight to a social media campaign set up by his wife, J.J. Abrams, Lucasfilm and Disney granted Daniel's wish and only a few days ago, the life long Star Wars fan got to see an unedited version of The Force Awakens. That's the story and it touched millions of people around the world. I have to admit, while I didn't know Daniel, I did shed a tear when I read of his passing. As did many around the world. 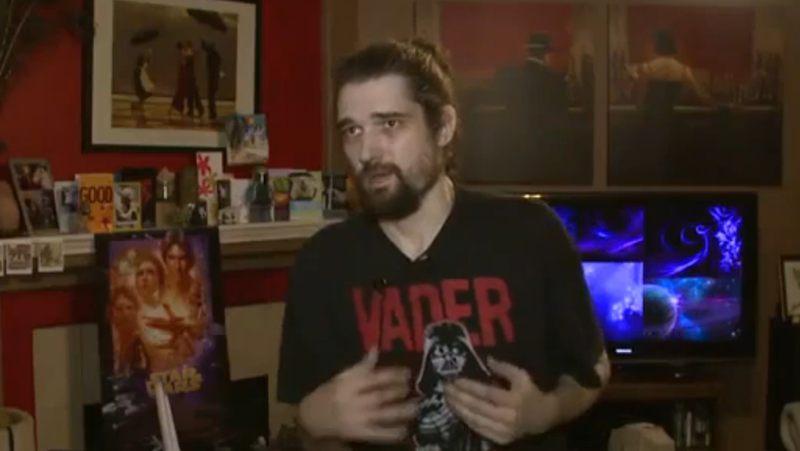 Simply because of his passion for all things Star Wars, Daniel Fleetwood seemed to unite the internet in the blink of an eye. To think that his dying wish was to see a movie is just incredible. This piece of art, meant so much that he hung on as long as he could to see this. Our thoughts and prayers go to his incredible wife, Ashley Fleetwood and his family and friends at this difficult time. “Death is a natural part of life. Rejoice for those around you who transform into the Force."